Dear children, we came first to bring you the explanation of how the twin flames complement each other, which is through unconditional love, charity work and balance. Many of you beloved children radiate their primary flames throughout your incarnational journey, where all their aspects work. But they are only in the stage of preparation, for the moment where they will be brought to the union with the twin flame. This union will occur, when each aspect, masculine and feminine, is purified, stoned, through the lessons learned in the school of life. There is no physical impulse, for the two have overcome the impulses of matter. The union is energetic, on a higher level, which we call the 12th chakra. The 12th chakra is what will elevate each of you, attached to your male or female aspect, to the level of twin flame. This union, which can only be achieved at this level of work, will bring about the irradiation of a new energy for the planet. And it will be anchored with the solid foundations of the selfless work of charity and love of neighbor, realized in a balanced way by the irradiation of this new energy, which is created from this union. The union of the crystal and violet rays forms a new energy, which would be crystal violet, which will culminate in new forms of healing, therapies and treatments for all humanity. The irradiation of the flame of purity together with that of transmutation will be essential for you to see materialized on your planet, the New Earth and the connection with the fifth consciential dimension. Upon coming into contact with this energy, they will receive the necessary treatment to ignite the flame of inner purity, along with all aspects that prevent them from following and transcending the experience of matter, which will be dissolved by the flame of the violet flame. The violet-crystal sphere inserted in their hearts, and worked for cleansing and transforming the aspects that unite you with matter, is what will make you connect to the 12th chakra, and there to work definitively that liberation from the repeated incarnational experience, That you have been living for a long time. The liberation of aspects that bind you to the akhashic records, through energetic threads that keep you bound to those experiences, and does not allow you to transmute them through new treatments in the present incarnation, will be released and cleansed through the work of crystal violet flame , Which will dissolve the density found in the registers and illuminate the dense wires, which will be ruptured and then reconnected with a bright violet-crystal cord. This work will be done together with the purification of the energetic points of their bodies. When we perform the cleansing and purification of our bodies without the illumination of our records, we are only postponing the return of the same emotions and feelings that will accumulate again in our bodies. The work of liberation and purification of the chakras needs to be done in conjunction with the illumination of our records, that is, with the anchoring of changes in schedules of our own records. There are constraints attached to the DNA strand, which are cumulative schedules of one of the four levels of our records. In the constitution of our Being, we have the experiences brought by the I Am incarnate, which are those closest to our physical life. Beyond this level, we have the family level, which comes from all the genetic inheritance we receive from our relatives. This level is what we call the family constellation, where the restrictions of matter are present, which the family nucleus itself decides to transcend. We still have in sub-level of our records the set of all the past and future lives that we experience in the incarnational experience. This set of records is configured as a living library of all the experiences we had within the project to which we are inserted. Lastly, we have the cosmic level of soul, the highest of all. At this level are all the experiences of soul, of this and other plans already experienced by our soul. It is our most comprehensive cosmic history. What we need to understand is that all these energy levels are accessible, but the restrictions you have today on matter are all linked through strings to your akhashic records. These wires can be cleaned and illuminated, as they may be dark, and according to the energy contained in the registers and in you, this changes according to the energy that exists at both ends of that wire. If there is a record of food restriction, of fault, attached to your cosmic library, this record will influence your physical life and there is a great possibility of it radiating all the other 3 levels of consciousness mentioned above. From a restriction contained in our cosmic record, we will create a physical life of financial restraints, where we will be drawn to a family that rightly faces these dilemmas, and this will be a fact that will be repeated, over many lives that happen in the incarnational plane . But there is the possibility that this fact is present in a single level of our akhashico. For example, the level of the family constellation. We may have been born into a family where the dilemma is precisely that of transcending lust. In this family we will have many problems of relationship with betrayal, jealousy manifestation and other inferior feelings. All those connected to the family plan, where we anchor the mission of transcending and transmuting these elements, where we will energetically influence, the whole nucleus in which we will be connected. The liberation treatment that works at the level of elevation to the 12th chakra, cleansing, releasing and purifying, then brings the possibility of looking at the restriction points that reflect in the physical body, and then accessing the records that are related to them, With the violet-crystal flame. This illumination will cause that record to be purified and cleansed of all the energies that held the dark thread, for it to be purified and transmuted. This will cause the dark wire to break, and a new crystal-violet color materialized there, now illuminated. Obviously, these restrictions contained in the levels of records will influence the energy points of our bodies. They will generate emotional accumulations in our bodies, blocking chakras, generating energy and emotional imbalances, as well as closing us to the truth of our essence. Each point of this, attached to our records, will be a configuration that will divert us from the greater purpose of our soul, will lead us to close ourselves in a mental process to the constraints of the planetary grid. After the purification and transmutation of the records, therefore, the time comes to work that aspect that was already being felt in the physical body, to make the closure and the cure. Raising this aspect to the subtle plane, where the 12th chakra is located. You will be guided to this. Do not let this healing process connect to the mental. For they will be guided through the heart to accomplish this work. From the moment they "detach" the negative aspect of the physical body and move it to the subtlest chakra, they can bring to it the light and transmutation necessary to be cleansed and transformed into a transcended aspect, now worked with The irradiation of the violet-crystal flame, which was anchored there by the connecting channel which is opened at the level of the 12th chakra. But the purification and transmutation of bodies and energetic points will only have effects with the illumination of the registers, from the irradiation of the violet-crystal flame. The irradiation of the violet-crystal flame will bring about the possibility of healing, cleansing, enlightening, and transmutation of all these aspects, which left them trapped in repeated experiences of suffering that were no longer part of their Present Self, but of past records, Which had not been surpassed. The first step of therapy, therefore, is the enlightenment of the restrictions contained in each of the four or all of the levels contained in the akhashico. For it is important to have mind that these records will be transmuted, but there is a whole neural network that has been consolidated in your physical body, linking the same reactions. Because of the restrictions contained in the records, there was an influence on the neural command network of the physical body. For this reason, it is necessary to clean and light the records from violet-crystal flame. Then the necessary energy purifications will be done next to the bodies, through exercises that have already been transmitted. But it is important to keep in mind that even after the purification and transmutation of the records and bodies, the old neural network of behavior will remain active. Then, it will be necessary the commitment of the person linked to the treatment, for the modification and transmutation of the old behaviors, which will gradually illuminate the neural network, modifying their behaviors and their reactions. Obviously, after the enlightenment of the records, the behaviors will become much milder, and the process of purification and transmutation will be facilitated, however, if there is no commitment of the person undergoing the treatment with its own modification, the records may again Be recharged with ancient energies, on a level of the Incarnate and familiar I Am. In this way, the old reactions will not be fully liberated. In this case, there will be a need for a therapist to be followed, for the cleaning and purification of the records, until the complete integration of the new behaviors and new reactions to the person's life. When then, the old behaviors will be fully transmuted. The cleansing procedure will initially be done through catharsis, which is a procedure of purification and purging of everything that is not part of the essence. This needs to be released from the records through a break. We break with the energetic bonds of these energies in the record, and then, from their exposure, they are released. The start is with the anchor. For safety of the one who will connect, energetically, to the records, there is a need for anchoring. Imagine you are in unity with the environment in you that you are in. You have become One with this environment. There are no more walls, furniture and objects of the environment in which you find yourself, because you have become one, energetically, with the environment. Around it is a blue magnetic grid that protects it from any outside influence. At that moment, we will ask for the protection of Archangel Michael, Arcangelina Faith, and the entire Hostile Angel of protection of the Blue Ray. From the chakra of our feet, we descend to the Central Sun, where we connect to the Planetary I Am and all the wisdom contained in the collective records. Then we shift into consciousness and connect to the records of the person we are in contact with. We begin the process of expansion of cosmic consciousness, where we will rise on a dimensional level, where truth will be revealed to us by exposing the constraints that need to be worked on. We enter the multidimensional environment of akhashico, where we listen carefully the instructions of the guides and mentors, who will assist us in the process. From it, we will enter the level of the akhashico, seeking intuitively for the records that block life. They will be presented by your Higher Body of Light. You will now be radiated with the help and anchoring of the light beings and the support team. The therapist will involve all the work with the Pink Flame so that any and all restrictions presented will be stripped of any judgment. We must have a lot of compassion and charity to work at this level of registration, because the greatest pain will be presented. The therapist should not engage, through judgment, with these experiences, but rather see them as they are, simply experiences accumulated in the record. The Pink Flame will guarantee love in this work. You will then begin to look for in these records the information that needs to be worked on. They will be isolated. The isolation of this information will be done with the anchoring of higher energies at the restriction site. You will be asked for higher energy levels, which will be fused to the restrictions. When we merge higher than lower levels, we generate an energetic shock within the registers, releasing them at the physical level for exposure. Once exposed, they will be irradiated with the violet-crystal flame. At that moment, there may be physical symptoms such as: bodily pains, physical and soul pains. At that moment, there may be a great energy irradiation of both involved, therefore, the correct anchoring becomes so necessary. All restrictions are raised to the upper level for treatment and cleaning of akhashic records. Only in this way will it be possible to bring the cure definitively. By wrapping the register corresponding to the aspect to be surpassed and transmuted into pink light, it will form a field of protection that will cause any action taken by the therapist, either on firm ground supported by love. Therefore, a vibrational field of protection is formed, where it will not be possible to perform any dense or evil energy. Everything will be cleaned with the white flame and transmuted with the violet flame, through the activation of the violet-crystal inner energy field. This is applied in the form of a luminous sphere within the akhashico register, in order to carry out the process. From the moment that crystal-violet sphere is inserted into the register, and enclosed in the pink protective field, all the energies contained therein will be dealt with without departing from within that protective field. This will cause nothing to be lost, but purified and transformed. All aspects are raised in higher levels of consciousness. All the memories, all the restrictions and information contained in the records will be handled by all the spiritual team that will work within that sphere of crystal-violet light. This activation is only possible with the feeling of unconditional love. Therefore, many aspects are not shown to the therapist because they could cause impressions and reactions to the information received, which could harm the treatment. The information passed on by the Source to the therapist will all be enveloped in the pink light and transmitted within a field of pink light so that they are received without judgment and love. In this way, all records will be purified, with all constraints transmuted. THE PURIFICATION AND TRANSMUTATION OF PHYSICAL RESTRICTION IN THE MATERIAL EXPERIENCE. The therapist, still involved in the pink protection field, will observe how the breaking of the wire connecting the register to the physical body takes place, and then a new violet-crystal energetic wire materializes. That will show the therapist at which point in the physical body is this connection, which was treated in the akhashico record. The point shown by the energetic thread at that time, still remains in the physically shown dense body. And then it is when it will be displaced, uncoupled from the physical body, like a surgery, where the sick part is withdrawn for replacement by a sound one. But here, the sick part will be raised to the consciousness level of the fifth dimension where there is light, and then it will receive the pure and healing light through the irradiation of the violet-crystal light. That will cause a new reality to materialize there for that physical organ, or even, that symptom or behavior. All aspects can be elevated and purified through the connection established with the higher dimension, which can only be accessed through the 12th chakra, where they will have access to the new dimensions of consciousness. This physical part or restriction is reacted in the physical body in a crystalline form, so that the process can be completed through the violet-crystal flame. For this, after being raised to the level where the healing is worked, they are moved from there to the physical body, already involved in the violet-crystal flame. Allowing the aspects that were detached, to be coupled again in the records, but now already clear and crystalline. There will be facilitation so that, part of the completion of that release, now coupled to the record, is part of the life of that person who was treated. The person will realize that there will be no longer any difficulty in working on these aspects, or they will be given in a softer way, and thus, simply by living the new experiences that will arise, will break this aspect definitively. 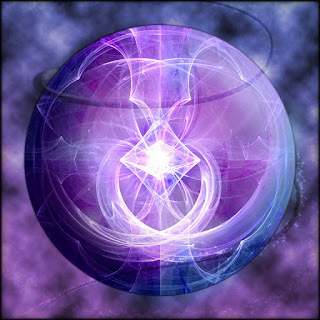 The violet-crystal energy wire will remain connected because it is through it that you can access the information contained in the experiment, but now. As wise teachers who will bring this through opportunities to teach others. There will be a need, at this point of complementary treatment, for cure to be established, and no new restrictions created. But the impulses that led the person to repeat the mistakes, and that generated the physical consequences, will no longer exist. Then, it will depend on the reflexes that each one maintains of his own current behavior, accepting within himself, that there is no longer that reality that was manifested previously. Accepting that it is already part of a new life, where you will see manifested, from now on, the New Age of love and peace, starting from their own lives. They need, therefore, to overcome the fears, the fears, the memories of suffering resulting from experiences. They are all in the past and will never be repeated unless they are re-created, born of fear. The connection with what has already passed must have the cycle completed as definitive, within the heart and mind of each one. So that they do not repeat again the same cycles of suffering, which are now no longer connected. This healing will be done with therapeutic accompaniment, with self-observation, with meditation and with alternative therapies. Self-observation, from this point on, is essential so that it does not bring about the creation of the reality of suffering. We know that many children have gone through various situations of suffering, linked to the experiences related to the akhashic records and, therefore, we know that this stage of acceptance can be difficult that the life takes a new direction from now, where it must let empty of All that they have lived to fill with the new. This, my children, we speak of all your perceptions of life. The way they earn their living, the way they love, the way they relate, the way they live. Everything will be different from that point on. Everything will be rebuilt. 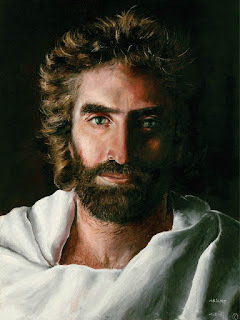 And everything that has lived here will be transformed, and so they must be open to receive the new and the miraculous, which is nothing more than something they have never had the blessing of experiencing, because they are so attached to the old information of suffering. At that moment, they become creators of their lives, their future and their present. And they can create the New Earth on the basis of love, which always existed in their hearts, but which was prevented from manifesting by being involved in fear and suffering. Now, children, you will be free, and you must live by manifesting that freedom and love. The elevation, healing and treatment, through the violet-crystal flame, will bring about the definitive release of aspects that hold them today, incarnations. And so they will no longer be part of a system that controls them. They will be free and creative seeds of the Divine, and so they will act in all their incarnate days on this planet. Messengers: Thiago Strapasson and Michele Martini - January 22, 2016. Source: http://coracaoavatar.blog.br/ and http: /verdadetransmutadora.blogspot.com.br.